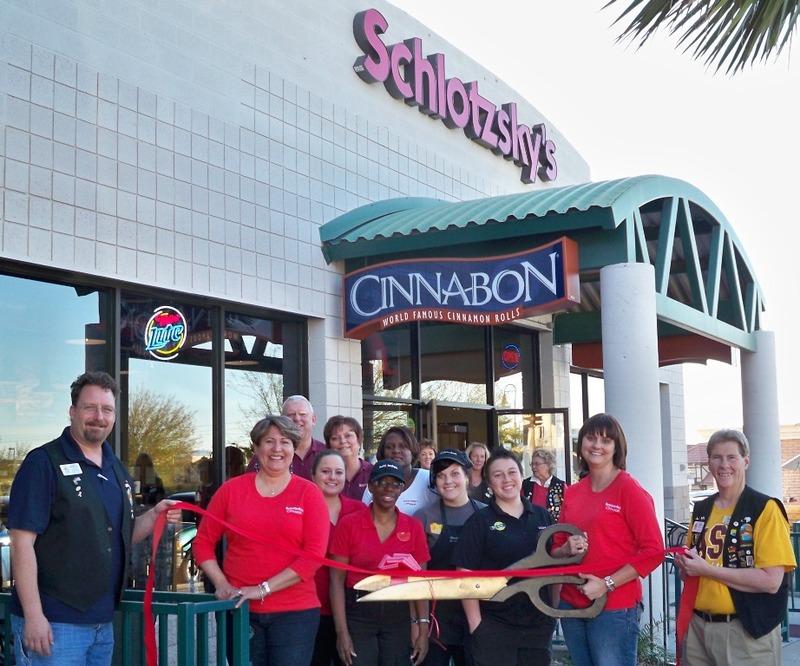 The Lake Havasu Area Chamber of Commerce Ambassadors held a 5th year anniversary ribbon cutting for Schlotzsky’s located at 2144 McCulloch Boulevard. Schlotzsky’s offers a variety of amenities from outdoor dining to a convenient drive-thru. They will be adding a full bar called Lotz on the Rocks. Other services that are offered include; catering, gift card sales, free access to wireless internet and last but not least their wide variety of specialty sandwiches among other items. Featured in the photo from left to right are as follows; Chamber Ambassador Sergi Heideman, Stacie Foster, Alex Ross, Cinda Ross, Kelsi Mai-Harvel, Geraldine Browne, Brook Jackson, Heather Arture, Mindy Morgan, Regan Ross and Chamber Ambassador Rick Broker. For more information contact them at (928) 854-2144.